Ernestine J. Williams didn’t get the chance to attend college. This was somewhat of an unrequited wish, so she did the next best thing by establishing a scholarship that would allow other young people to pursue their post high school educations – and their dreams. 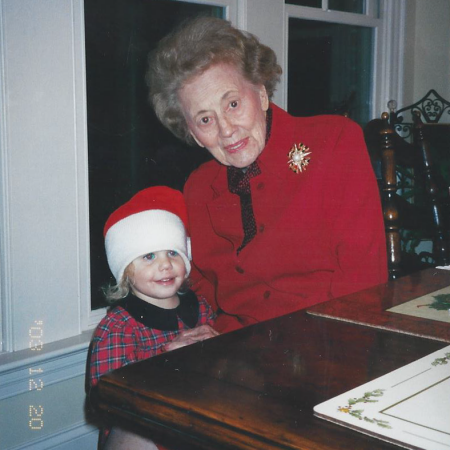 The Ernestine J. Williams Scholarship was established to reward Johnston County high school graduates who have plans to attend a university or community college. The way the scholarship is structured actually rewards students who pursue their educations beyond a two-year degree. It is one of the few four-year scholarships administered by the North Carolina Community Foundation and goes a long way toward reducing tuition costs, making a real difference for many students and their families. 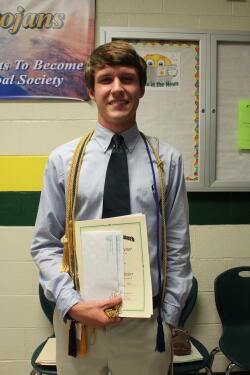 Evan Raynor, a graduate of South Johnston High School, was this year’s recipient of the Ernestine J. Williams award. He found the scholarship on NCCF’s website from a Google search about the same time his high school guidance counselor singled him out to apply. The engineering major at North Carolina State University said this is making a real difference in his college experience. “I would have had to take out tons of loans and probably commute to State from my home in Benson,” he said. The scholarship allows him to live on campus, which he knows will round out his education in a way that living at home would not. “I am so grateful for this,” he said. This is exactly the kind of student Williams had in mind when she established the endowment, according to James Narron, NCCF board member and the estate attorney who helped her create the scholarship. And because she never had children of her own, he said the scholarship was her way to leave a legacy. “But it wasn’t about being remembered,” he said. “It was about providing young people with the opportunities she never had.” He also said she had a special affection for Johnston County and wanted to provide for people who would in turn, give back to that community. 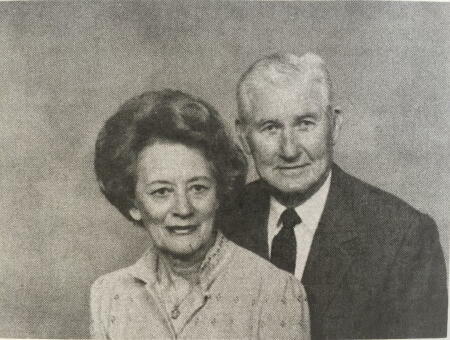 Williams and her second husband Bill were fixtures in the Town of Smithfield. They lived in one of the big, pretty Colonial houses built in the 50s and liked to socialize and entertain. “They joined the life of the town in a big way,” Narron said. Narron knew Williams in her later years and said she retained “a sparkle” that made her attractive and fun to be around. While Williams never had a chance to further her formal education, she was successful by any measure. The Harnett County native taught herself about the stock market, investing in Humble Oil in the 1930s before it became ExxonMobil. Her early investments paid off. 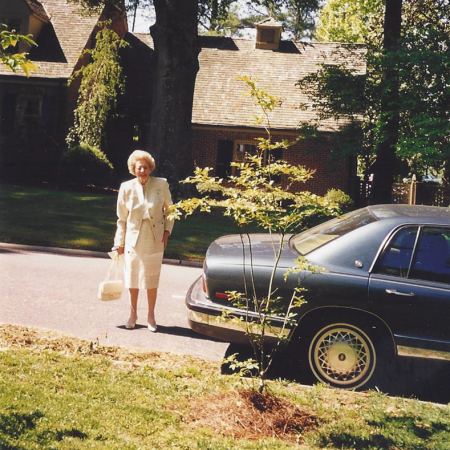 Williams was widowed at a very young age and took over two furniture stores after her first husband died, not just maintaining the business but growing its profitability as well. “She was ahead of her time,” Davis said. Davis could not speak about Williams without getting teary-eyed. “She was just a first-class woman in all ways,” she said.